David Weiss is an experienced litigator. David excels at complicated and unusual cases that require creativity and tenacity. His proudest moments as an attorney have come from overcoming long odds on cases that seemed impossible; helping his clients achieve extraordinary results. For example, he successfully reunited a father and son after the father was denied access for an extended period. 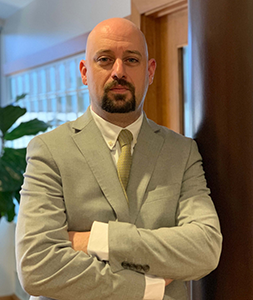 David is a veteran of the United States armed services and brings his insights to family law matters that involve military members, veterans, and their families. His military experience also provides David with a unique perspective on family law conflict, which allows him to calmly assess the nature of a client’s problem and develop an action plan to resolve the dilemma. While the newest member of the Peskind Law team, Mr. Weiss is an experienced family lawyer, who formerly worked at a well-respected family law firm in the western suburbs. He has handled complex family law cases in Chicago and throughout the state.